IPTV over wireless? Why not? Interview You want cheap Wi-Fi? "You'll get what you pay for," warns Selina Lo. "Wi-Fi makers are in denial. The system doesn't work properly, and will get worse." Thank God, she says happily, "for manufacturers like us!" 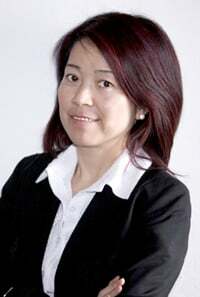 Ruckus president and CEO, Selina Lo. "Wi-Fi is a selfish technology. What people need is the ability to make Wi-Fi behave. That's what we do - we make Wifi into a utility." For anybody who lives in a congested wireless neighbourhood, the "will get worse" prediction is already coming true. You go to the computer store, you buy your Wi-Fi access point, and then you find that you aren't the first; and you also find that it's slow. Promises of "faster than wired Ethernet" are made - promises which don't translate well into reality. If you think your Wi-Fi is the exception, Selina Lo has an acid test for you; try running IPTV across your wireless link. With a Ruckus wireless link, you can. This, says Lo, explains why all the "triple play" service providers are queueing up to buy Ruckus technology. It's a technology with the snappy name of MediaFlex: "The first in-home multimedia 802.11a/b/g system developed specifically for service providers" says the blurb. Sitting listening to Lo explain all this, I had to admit that she doesn't present the typical image of a CEO of a high-tech start-up. She is (you should excuse my directness) tiny and cute. If you're looking around the hotel lounge for her, and spot her, you might easily notice her, and pass her by as being far too young anyway, and lacking in the sort of charisma which the typical American VP tries to cultivate. Listen to her talk, however, and the charisma hits you between the eyes.